PHILADELPHIA (AP) — A medical assistant told a jury Tuesday that she snipped the spines of at least 10 babies during unorthodox abortions at a West Philadelphia clinic, at the direction of the clinic's owner. And she said Dr. Kermit Gosnell and another employee did the same to terminate pregnancies. Adrienne Moton's testimony came in the capital murder trial of Gosnell, who owned the clinic and is on trial in the deaths of a patient and seven babies. Prosecutors accuse him of killing late-term, viable babies after they were delivered alive, in violation of state abortion laws. Gosnell's lawyer disputes that any babies were born alive and challenges the gestational age of the aborted fetuses. Moton, the first employee to testify, sobbed as she recalled taking a cellphone photograph of one baby left in her work area in 2008. She thought he could have survived, given his size and pinkish color. She had measured him at nearly 30 weeks. Jurors saw Moton's photograph of the boy called "Baby A" on a large screen in the courtroom, which took on a bizarre look Tuesday as witnesses testified near a hospital bed with stirrups and other aging obstetric equipment. Denied the chance to bring jurors to the shuttered inner-city clinic, prosecutors are instead recreating a patient room in court. The mother of "Baby A" testified Tuesday afternoon, describing a painful three-day abortion process that started at Gosnell's clinic in Delaware. She was 17, had an infant daughter and was told by Gosnell she was 24 weeks pregnant — the legal limit in Pennsylvania, but not in neighboring Delaware, where abortions are banned after 20 weeks. The Chester woman said she given abortion drugs in Delaware and sent home the first two days, then was directed to the West Philadelphia clinic the third day. She was in severe pain by then, pain that only worsened the following week, she said. Her aunt had taken her to the clinic and paid the $1,300 fee, and they had not told her mother. "I never felt pain like that, ever," the woman said. "I couldn't talk to anybody and tell anybody." But the teen ended up being hospitalized for two weeks with a large abscess and a blood clot near her heart. Prosecutors say she is one of countless patients injured during botched abortions or unsanitary conditions. One patient, a 41-year-old refugee, died after an overdose of drugs allegedly given to her during a 2009 abortion. Moton, 35, had lived with Gosnell's family during high school because of problems at home, then went to work for him years later. She earned about $10 an hour — off the books — to administer drugs, perform ultrasounds, help with abortions and dispose of fetal remains from 2005 to 2008. She once had to kill a baby delivered in a toilet, cutting its neck with scissors, she said. Asked if she knew that was wrong, she said, "At first I didn't." Moton has pleaded guilty to third-degree murder, which carries a 20- to 40-year term, as well as conspiracy and other charges. She has been in prison since early 2011, when Philadelphia prosecutors arrested Gosnell, his third wife, Pearl, and eight other employees. Most of them have pleaded guilty and are expected to testify. 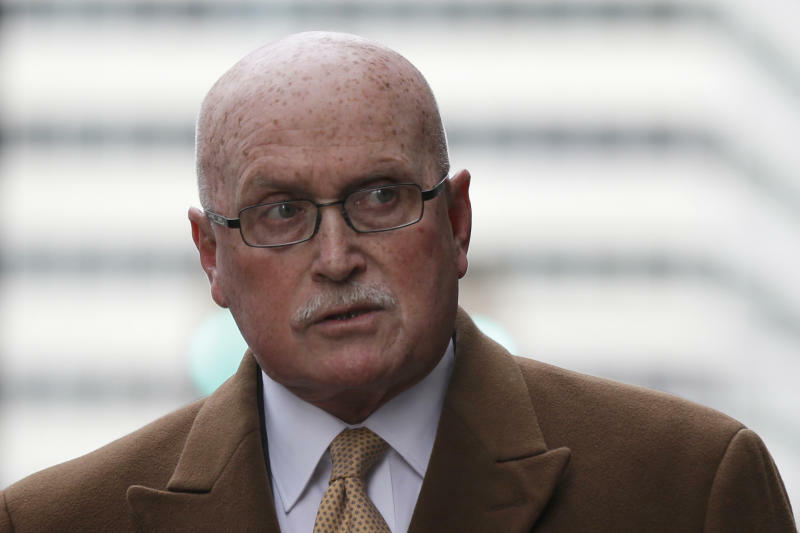 Defense lawyer Jack McMahon told jurors in opening statements Monday that Gosnell, now 72, returned to the impoverished neighborhood after medical school when he could have struck it rich in the suburbs. He called the prosecution of his client, who is black, "a lynching." But prosecutors believe Gosnell made plenty of money over a 30-year career using cheap, untrained staff, outdated medicines and barbaric techniques to perform abortions on desperate, low-income women. And they say he made even more on the side running a "pill mill," where addicts and drug dealers could get prescriptions for potent painkillers. Authorities found $250,000 in cash under a mattress when they searched his home in 2010.